SPORAH TV: SHE'S A MIDWIFE WHO BELIEVES MATERNAL HEALTH IS NO LONGER A MINISTRY OF HEALTH ISSUE BUT A RESPONSIBILITY OF EVERY MEMBER OF THE SOCIETY. SHE'S A MIDWIFE WHO BELIEVES MATERNAL HEALTH IS NO LONGER A MINISTRY OF HEALTH ISSUE BUT A RESPONSIBILITY OF EVERY MEMBER OF THE SOCIETY. 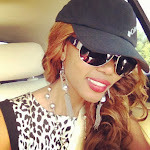 Briefly tell us, Who is Angea Nguku? Angela Nguku is a 30years old woman, a midwife and coordinator for AMREF, an Kenya-based organization that promotes health care for all. Nguku’s work is motivated by her own experiences trying to help women in labor. As a midwife working in a Southern Sudan health facility with limited resources and not enough access to doctors and other highly trained medical professionals, she saw more than her fair share of tragedy. AMREF.!!!!!! What does AMREF stands for? AMREF is an international African organisation headquartered in Nairobi, Kenya, and our vision is Better Health for Africa. Tell us more about your Organisation.! AMREF’s mission is to ensure that every African can enjoy the right to good health by helping to create vibrant networks of informed communities that work with empowered health care providers in strong health systems. AMREF has over 50 years’ experience in health development. In 1957, three surgeons founded the Flying Doctors Service of East Africa, laying the foundation for what is now one of the continent’s leading health development and research organisations. Today, AMREF implements its projects through country programmes in Kenya, Ethiopia, Uganda, Tanzania, Southern Sudan and South Africa. Training and consulting support are provided to an additional 30 African countries. Wow..! you guys are doing quit a lot to our community, so what is your role.? Well, In 2005, I got a job with Action Africa and was sent to the post conflict Southern Sudan to implement a programme on safe motherhood,"
"I experienced an immense culture shock. The country had no roads, there was poor health services, but worse of all...soaring maternal deaths,"
Back in South Sudan, Angela continued with her work, at the same time attending endless funerals for women who had died during childbirth. 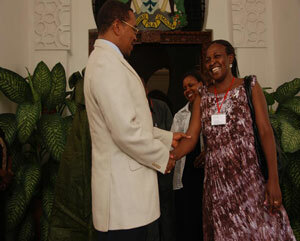 Her turning point was when she met a Sudanese man, whose wife had died while delivering their triplets. The triplets’ also died, and the four deaths crushed that man. It was too painful for Angela to watch this man cry at the graves of his family. She vowed to do whatever she can to help the situation. She then got a new contract, this time not with Action Africa, but with another reputable health organisation,as the regional coordination manager for maternal, neonatal and child health for Kenya, Uganda, Tanzania, and South Sudan. I love what am doing and am so passionate about it. 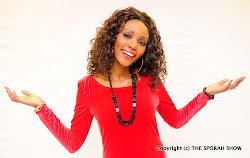 Angela your such an inspirational Lady. AND THIS IS HOW THE INTERVIEW WENT..! THEN ANOTHER POWERFUL WOMAN FROM AMREF JOINED US..! WOW..! SPECIAL THANK YOU TO YOU ALL FOR MAKING THIS HAPPENING..! 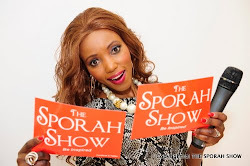 ALL COMING SOON ON THE SPORAH SHOW..! I LIKE THIS HAIR SPORAH, YOU LOOK SOOOOOO GOOD. Nice hair sporah i think this colour suit you more than blonde! It's so sad things happen in Africa the way they do GRRRRRRRR! One thing that is killing us Africans is POVERTY and if we can beat that, then Africa will be the next EUROPE as simple as that. you look HOOT Sporah......... BRAAPPPPPPP!! !